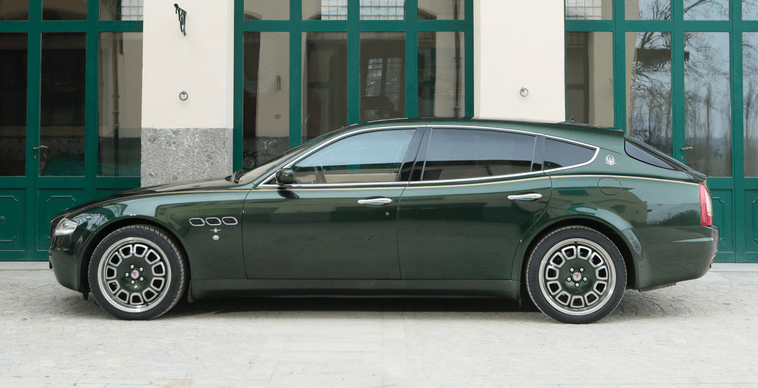 A Maserati Shooting Brake has been sold in Italy for €117.600. RM Auctions unloaded the custom Maserati created by coachbuilder Carrozzeria Touring Superleggera in Italy. It is a 2009 Maserati Touring Bellagio Fastback based on the Quattroporte. The hatchback style profile calls to mind the Ferrari FF hot hatch, though the two are worlds apart in other arenas. The first of just four examples of the Maserati Touring Bellagio Fastback has been sold at auction.